Fresh air, forest scenery, sea views, nostalgia and good company: No visa is required when you take a Saimaa Canal cruise over the Russian border to the former Finnish city of Vyborg. 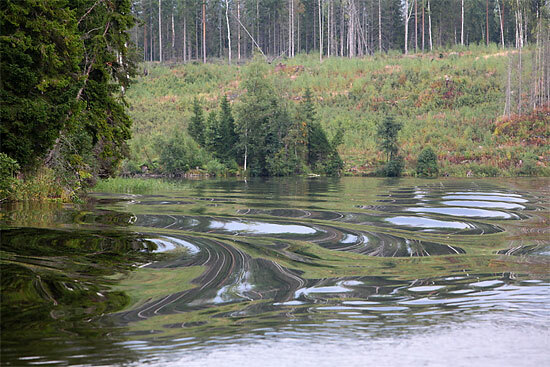 The scenic Saimaa Canal winds from Lappeenranta in eastern Finland down to the Baltic Sea and the city of Vyborg, located in the part of Karelia that Finland ceded to the Soviet Union after the Second World War. Fresh air, forest scenery, sea views, venerable architecture, nostalgia and good company: We embark on a Saimaa Canal cruise over the Russian border to the former Finnish city of Vyborg – no visa required. 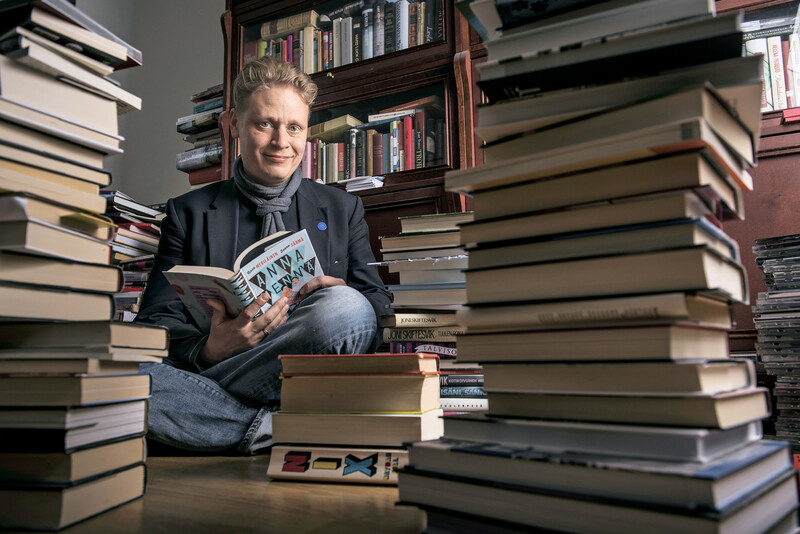 Timo Orava from the town of Lappeenranta in eastern Finland has lost count of the times he has visited Russia this year. His passport is crammed with page after page of immigration control stamps, identical but for the date, acquired from petrol-purchasing border hops by car. Orava is wearing a T-shirt and a pendant that are emblazoned with the patriotic Finnish lion symbol. Clutching a plastic mug of Karjala beer, he’s cruising on the M/S Carelia from Lappeenranta along the Saimaa Canal to the now Russian, once Finnish city of Vyborg (Viipuri in Finnish). His girlfriend Anne Kauranen will head straight for Vyborg’s market hall to stock up on cheap porcelain dolls. Vyborg is located in the area of Karelia (Karjala in Finnish, hence the name of the beer) that was ceded to the Soviet Union at the end of the Second World War and kept by Russia since the Soviet disintegration in spite of various Finnish attempts to negotiate its return. It is regarded with misty-eyed nostalgia by many Finns whose families had to move across the new border when hostilities ceased. ”So sad,” says Anne, peering through the drizzle at the grey urban silhouette and describing the decrepit state of many of the once handsome buildings in what was a bustling and cosmopolitan harbour city. 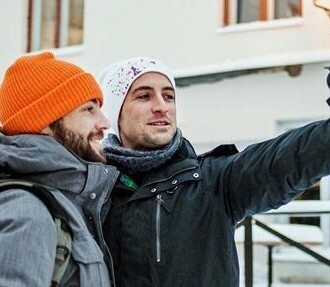 Visa-free visits by ferry became possible in the spring of 2009 and have increased the number of Finns revisiting the city on summer canal cruises and promoted the canal to tourist attraction status. Options include same-day return and stays of one or two nights in Vyborg. ”I don’t think the canal would be built today, under present circumstances,” says Eero Metsä, the Carelia’s captain, as the boat sits in the Mälkiä lock. 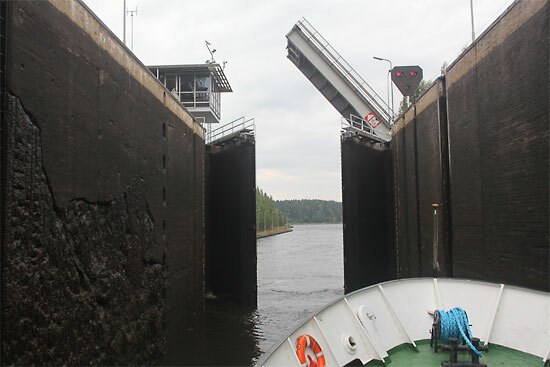 Three locks on the Finnish side and five on the Russian side of the border manage the gradual descent of nearly 80 metres between the Saimaa lake system and the Gulf of Finland. This is the latest, 43-kilometre incarnation of the canal, completed in 1968, but remnants of the original route – a 28-lock ”Canal of Emperors” opened in 1956 – can still be seen along the way. In Metsä’s view the expense involved in constructing the canal would be prohibitive in the present day. Finland recently signed a new lease deal costing an annual basic rent of 1.22 million euros – up from 300,000 euros – extending the previous lease period by 50 years. Lake freight traffic from the expansive inland waterways of Saimaa, mainly carrying timber and forest products and reaching annual volumes of two million tonnes, has no other route to the Baltic and beyond. The canal also forms a popular summer passage for leisure boats. But the economic downturn has cut into traffic since the record peaks of 2001, when 100,000 people sailed through. Apart from the M/S Carelia , the Dutch freighter Diamant is the only vessel plying the canal on a brisk day in September. Freight volume may be down, but the M/S Carelia and its tour operator, Saimaa Travel, do a healthy trade. Passengers are mainly from the Lappeenranta and Finnish Karelia area, not least because of the 7:40 am departure. 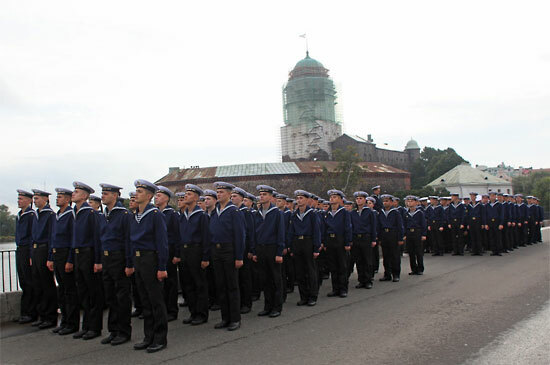 The boat makes the trip to Vyborg and returns the same day, about six hours in each direction. As well as the visa-free concession for cruise visitors, the recession has added to the appeal of the canal, since many Finns are looking for holiday options close to home. On the return trip the following day, it’s Saturday night and the 150 passengers on board the Carelia are letting their hair down. An ample buffet dinner is followed by plentiful beer and Russian champagne. There are communal renditions of the ”Saimaa Waltz” and ”Do you remember Monrepos?” – the latter a reference to the park outside Vyborg, an icon of Finnish Karelian yearning. Return Karelia to Finland? In the hearts of these visitors, it has never been anywhere else.